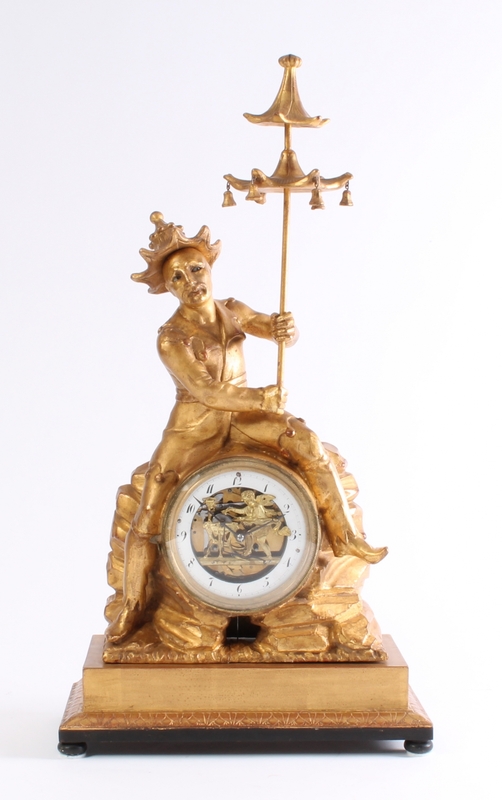 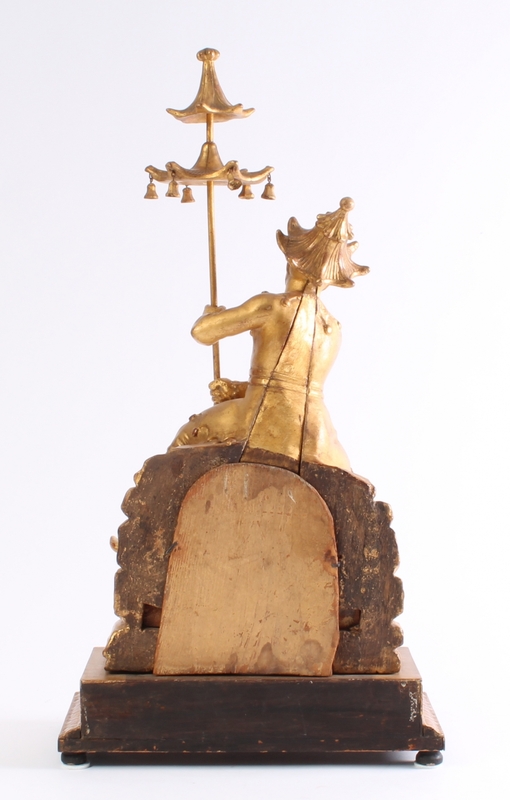 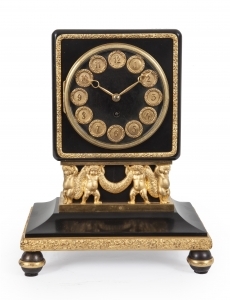 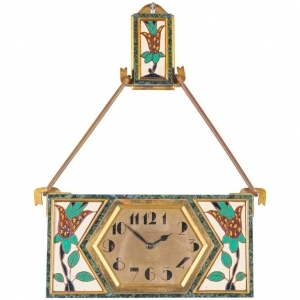 11-cm enamel chapter ring with Arabic numerals and Breguet hands, skeletonized centre with gilt brass Cupid sharpening his arrows with connection to the half hour rack striking on a gong, 30-hour movement with silk suspended pendulum and anchor escapement with connection to the eyes of the carved gilt wood Chinese figure holding a double parasol seated on a rockwork base, rectangular plinth on bun feet. 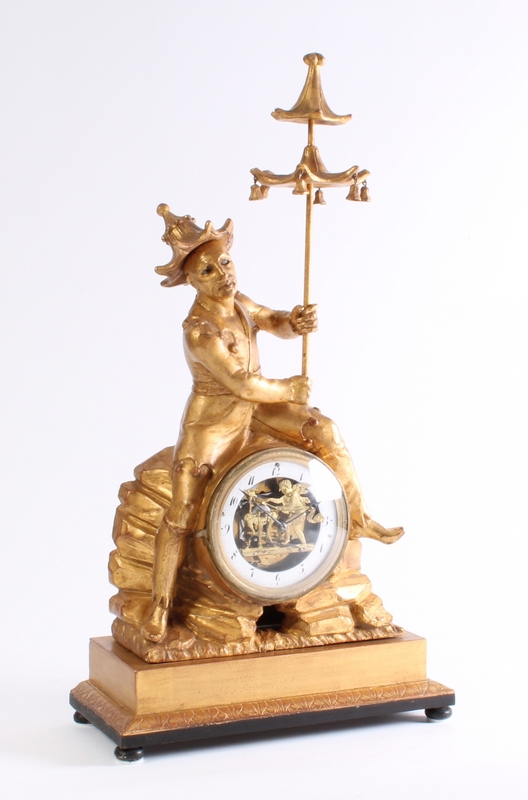 Very amusing clock with the moving eyes when the clock runs and the Cupid automaton when the clock strikes. 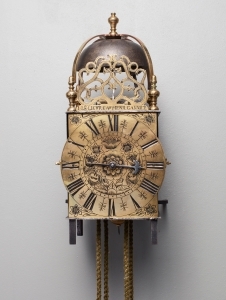 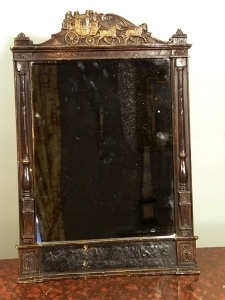 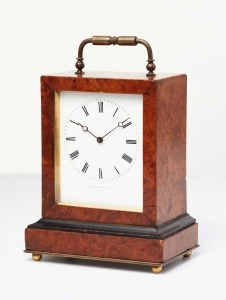 A mirror fitted in a former wooden time table frame, probably USA, ca 1880. 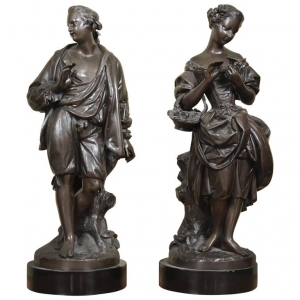 An Elegant Pair of Bronze Figures of a Couple, circa 1880.